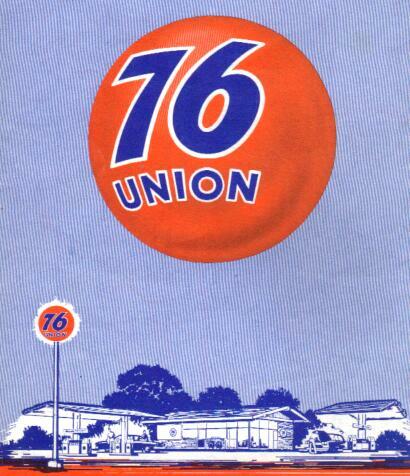 The Union 76/Unocal photos are split out onto three pages now. and the third page consists of many photos all from Earl Ma. 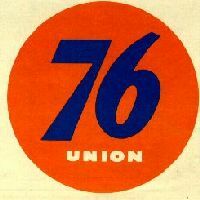 Union 76 logo from a map scan. John Cirillo. sphere became commonplace. From Earl Ma. 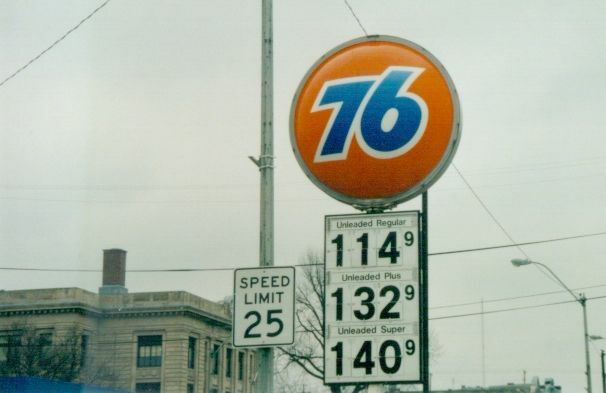 A Union 76 ball sign in Seattle, Washington taken March 8, 1985 by John Cirillo. 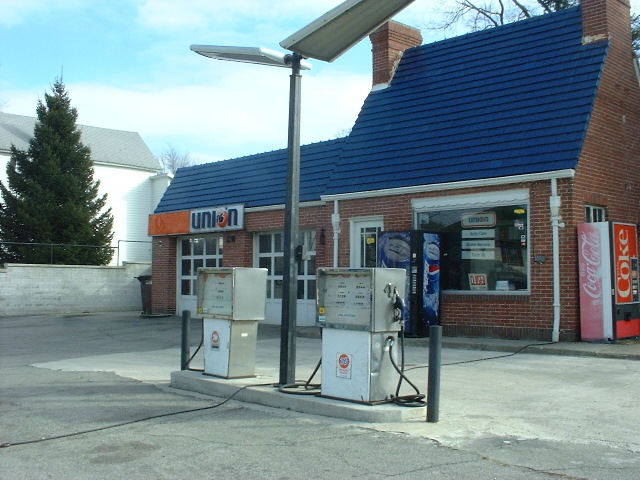 A 2006 photo of this location appears on the Union Page 2, and can be seen here in a pop-up window. Photo taken Jan. 1, 2005 by Thomas Gill. of Garfield, Alhambra and Huntington in South Pasadena, CA. 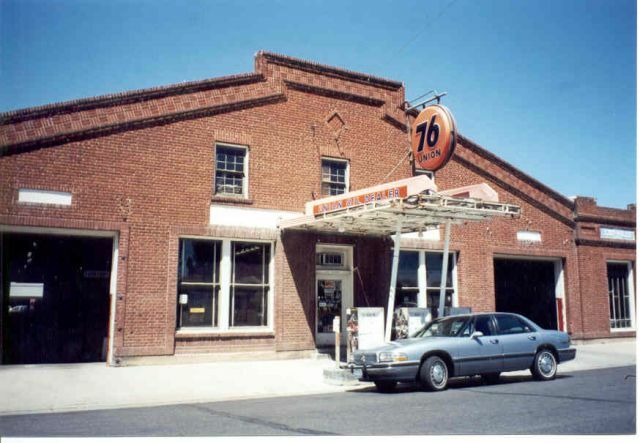 Station owner is Larry Raether and station is known as Larry's Union Service. 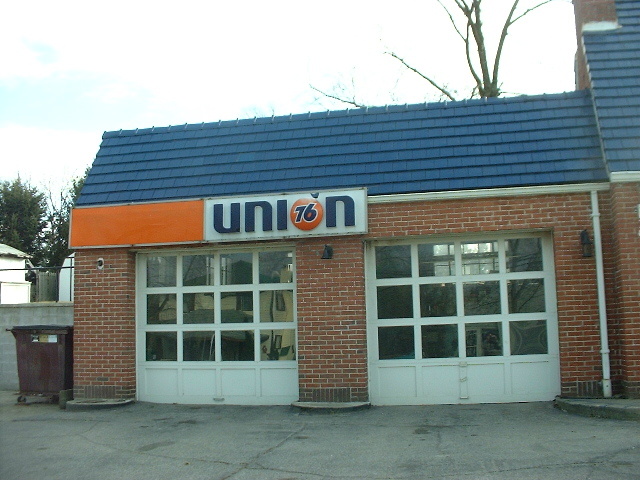 an example of the older 1980s style Union 76 stations. Photo taken Feb. 29, 2004 by J. Eric Freedner. C.L. 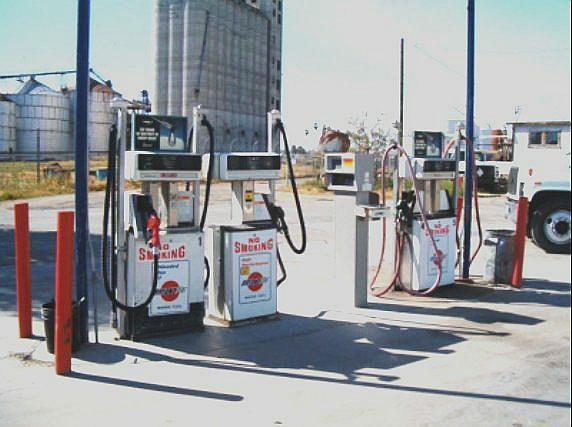 BRYANT cardlock fueling terminal on Santa Fe Avenue in Corcoran, California. Photos taken Friday, March 26, 2004 by J. Eric Freedner. 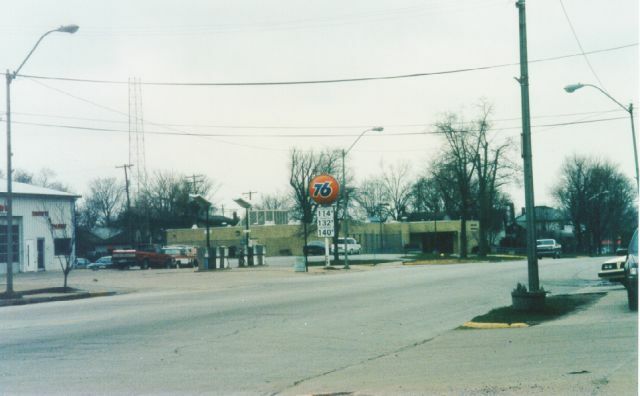 Note: As of 10-20-2004 the older Union 76 sign is gone. Here's another view from the opposite side, also showing the PACIFIC PRIDE sign. 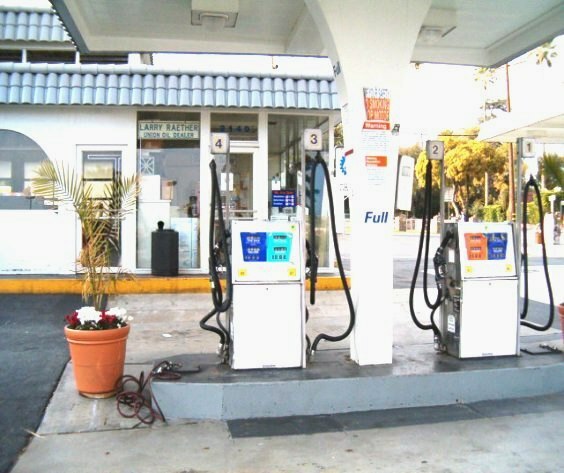 The gas pumps are shown above. Over an orange circle (from 76), a black-and-white checkered racing flag. 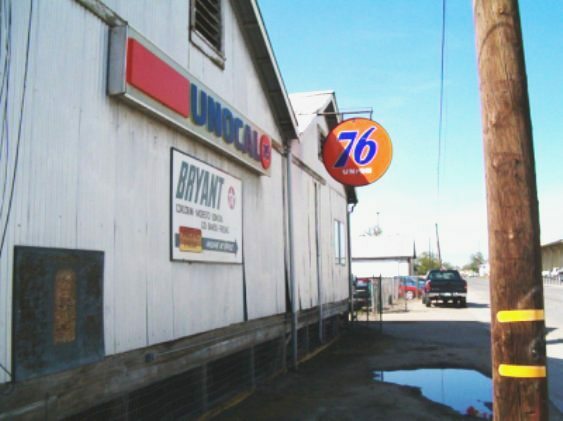 BRYANT has about 6 sites around California (a big one is in Los Banos). It's kind of hard to figure the company out. They bought from TOSCO years back and while it looks like they market 76 products, they are sort of independent. The credit card reader seems to be in PACIFIC PRIDE colors. Earl Ma has sent me a link to Bryant's website which explains who they are. independent marketer of VP Racing Fuels. 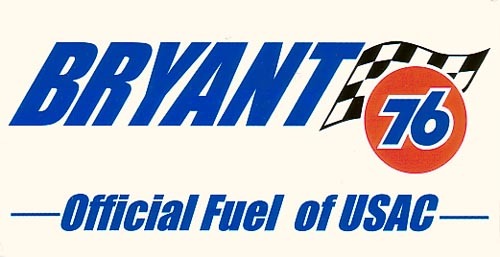 A 2003 Bryant decal from Earl Ma. 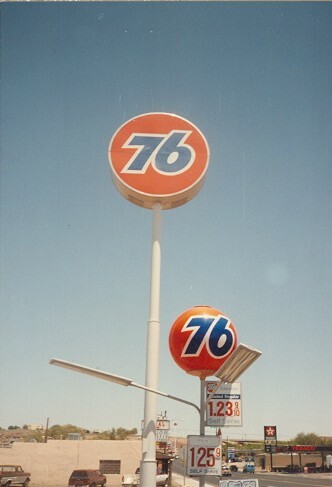 Former Union 76 dealer somewhere in California. From Charles Hathaway. Taken between 1997 and 2003. 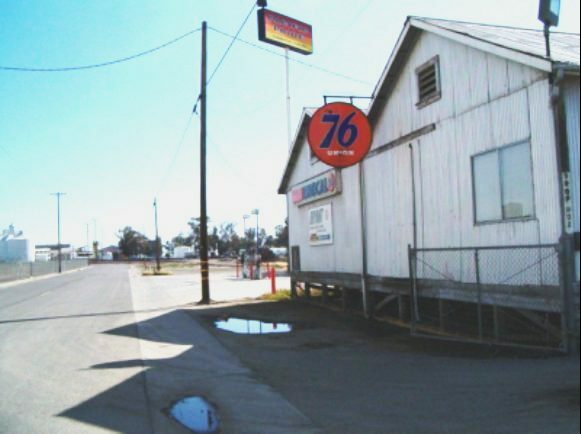 Union 76 in Lee Vining, CA. Taken by Charles Hathaway in June, 2003. 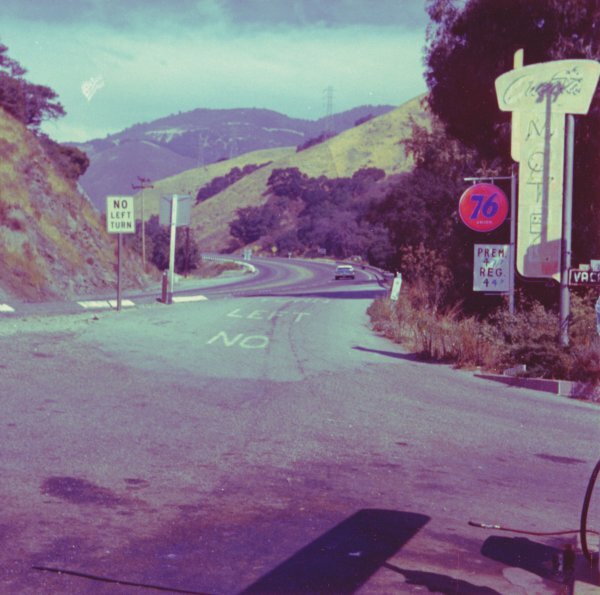 76 sign in San Juan Bautista From Charles Hathaway. Close-up of part of the above signboard. From Charles Hathaway. Taken in Feb. 2004. 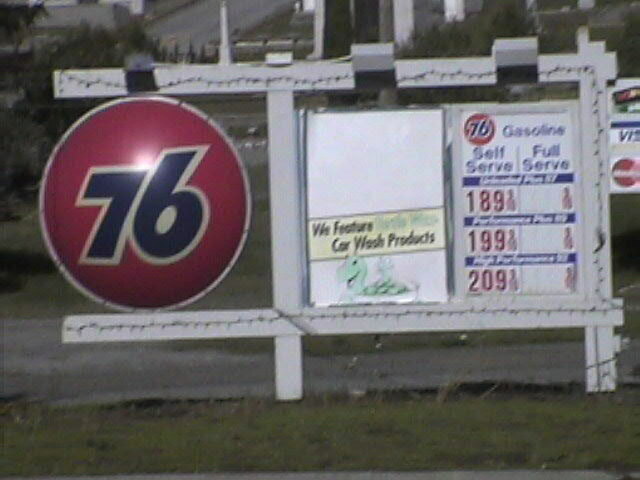 A 76 station on US 101 in Humptulips, Washington. 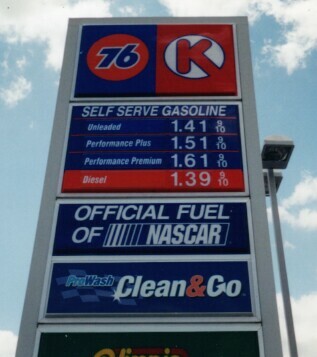 Taken July 1998 by John Cirillo. 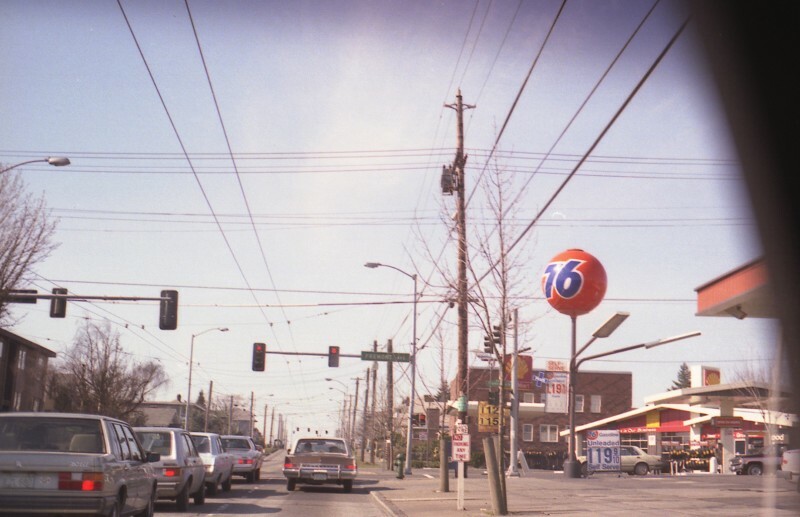 Two photos of a 76 station in Delphi, IN, 1995. 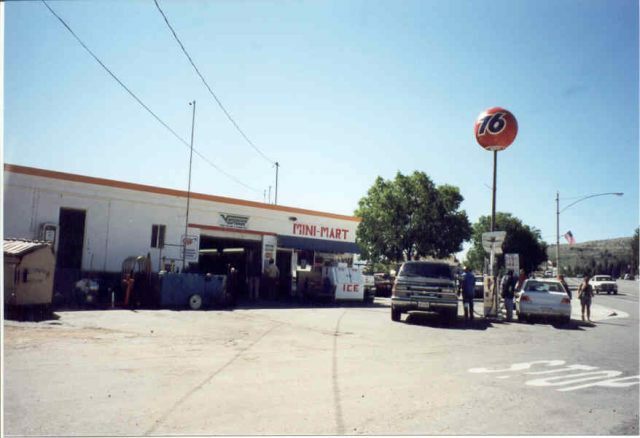 Station rebranded to Citgo around 2000. 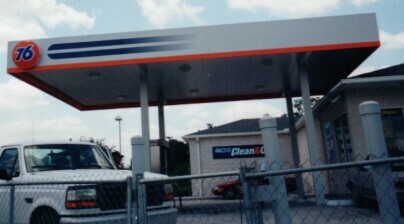 Union 76 with Circle K store, Lakeland, FL. Taken June, 2002. From Robert V. Droz. 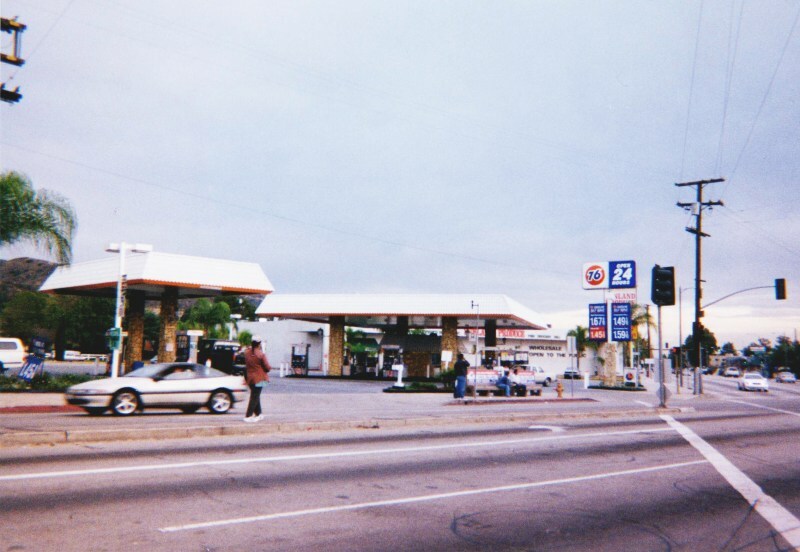 An Al-Sal Oil Company station at the corner of Glenoaks Blvd. and Sunland Boulevard, Sun Valley, CA. drive-thru stations. They use a convex 76 sign on rectangle rather than the more familiar orange globes. 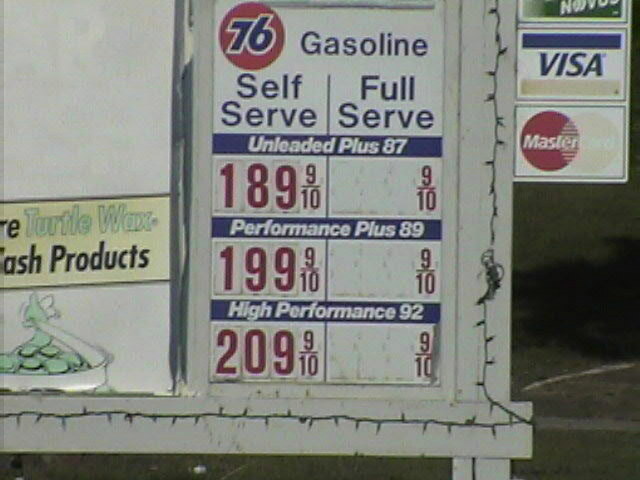 Photo taken Nov. 30, 2002 by J. Eric Freedner, who also contributed the above notes. 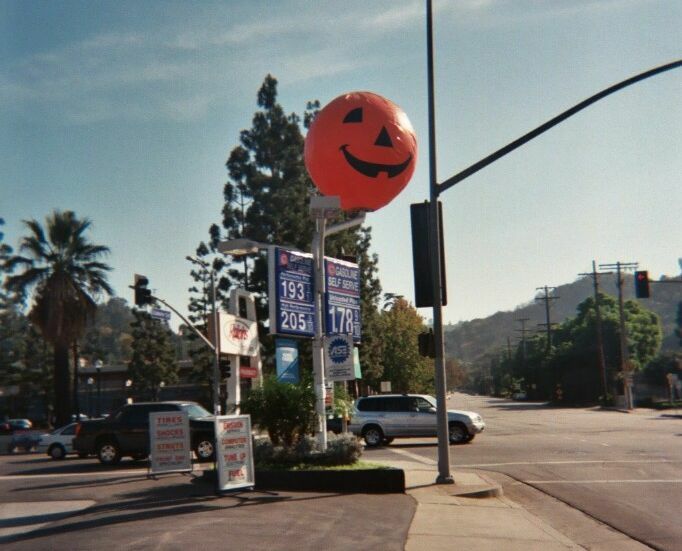 76 station at Coldwater Canyon Av. and Ventura Blvd., Studio City, CA. Taken Oct. 27, 2003 by J. Eric Freedner. longstanding custom around Southern California. 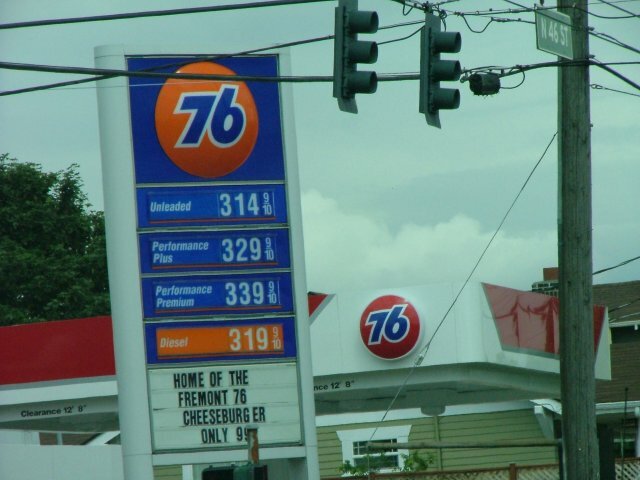 Not all 76 stations participate. A 1967 Union 76 map image. From Robert Droz, 2003. 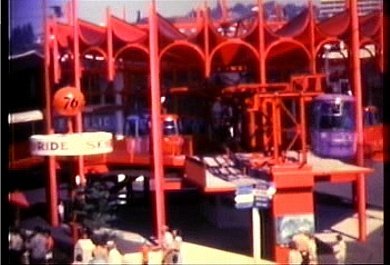 A shot of the Union 76 Skyride at the Seattle Century 21 Exposition, 1962. This was probably the place where many people saw the round 76 ball for the first time. This photo is a still frame from an 8MM home movie taken by Alan Eastlund's parents. Uploaded courtesy of Alan Eastlund. five miles north of San Luis Obispo, California. who held the lease on the station at that time.